Start reading reviews and checking comparisons and review samples! 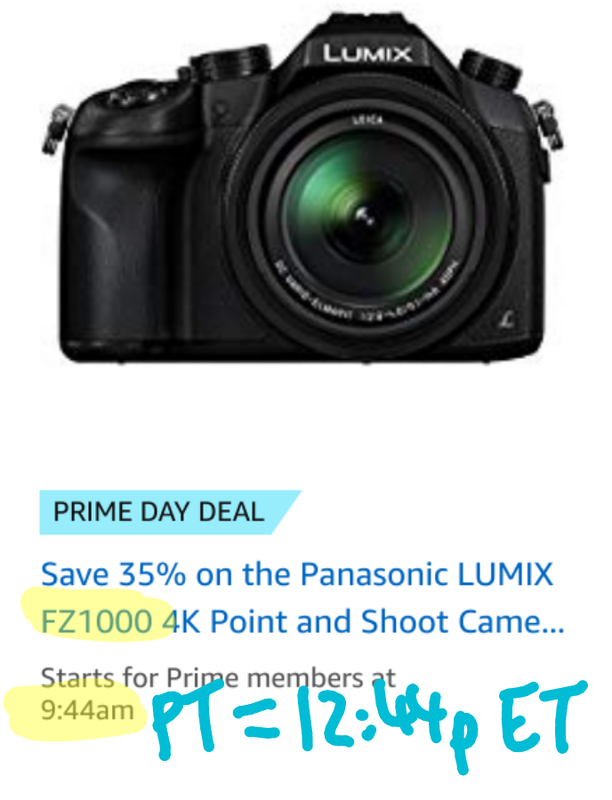 According to the Gold Box schedule, starting at 12:44pm eastern today, there is going to be a Prime Day lightning deal on the new condition Panasonic FZ-1000 superzoom (price before sale $800). I obviously do not know ahead of time what the sale price it will be, but since it is Prime Day, we can hope for a tempting deal!